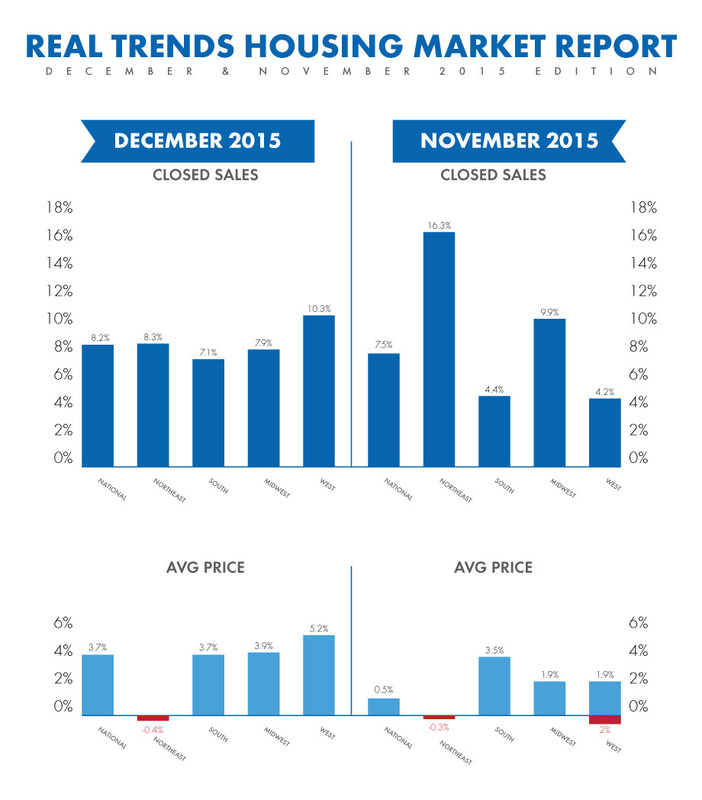 In December 2015, housing sales increased 8.2 percent year-over-year. This was the largest year-over-year increase since June 2015. The West was the strongest region, with a 10.3 increase. December 2015 home sales were up 6.1 percent year-over-year. 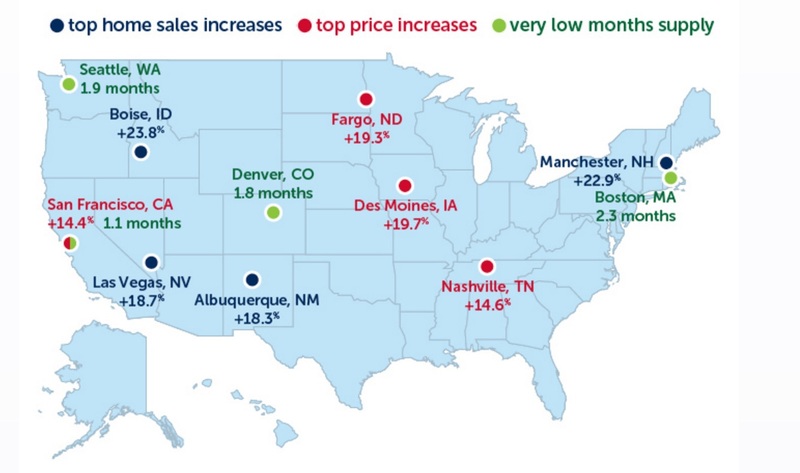 The median sales price was up 5.3 percent year-over-year. Average days on market was 67 days. 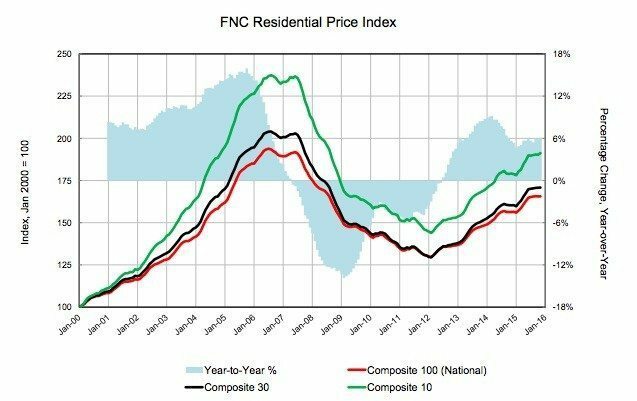 Home prices were “largely flat in November,” FNC reported. Month-over-month, home prices registered a 0.0 percent change between October and November 2015. Year-over-year, home prices rose 6.0 percent. The 100-MSA purchase index composite for November 2015 was 165.62, up .07 month-over-month. The index was up 9.31 points year-over-year. Los Angeles had the highest purchase price index: 243.13. Mortgage applications jumped 21.3% yesterday -- really? !